If you’re sick of your plain, non-electric skateboard and want to build your own ‘boosted board’, we’ve got you covered. 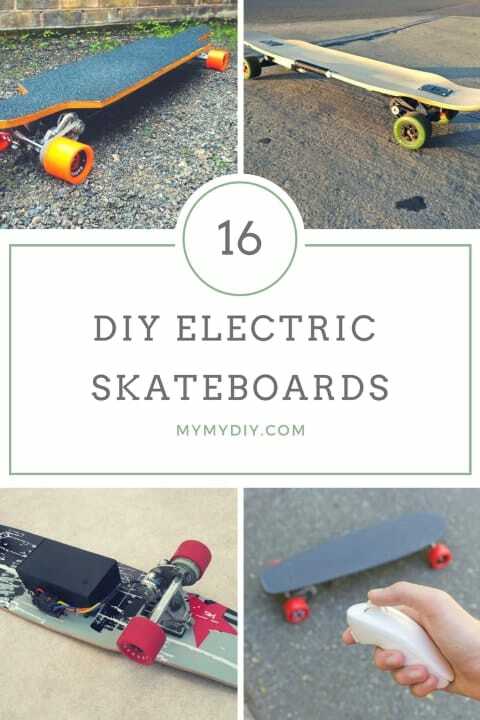 Below, we’ve assembled a list of some of the best DIY electric skateboards on the internet. 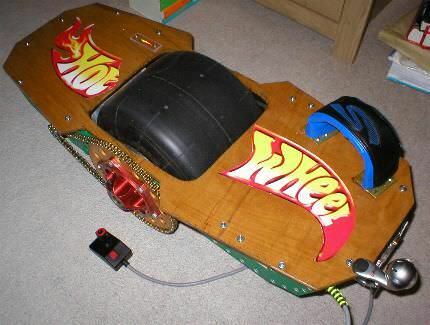 There are some crazy designs on the list: #16 is a Wii game controller-operated design; #1 can reach 26 miles per hour; and #9 is a one-wheel, balancing hover board. Simply scroll through, click the ‘View Plans’ button, and access the detailed, free instructions. 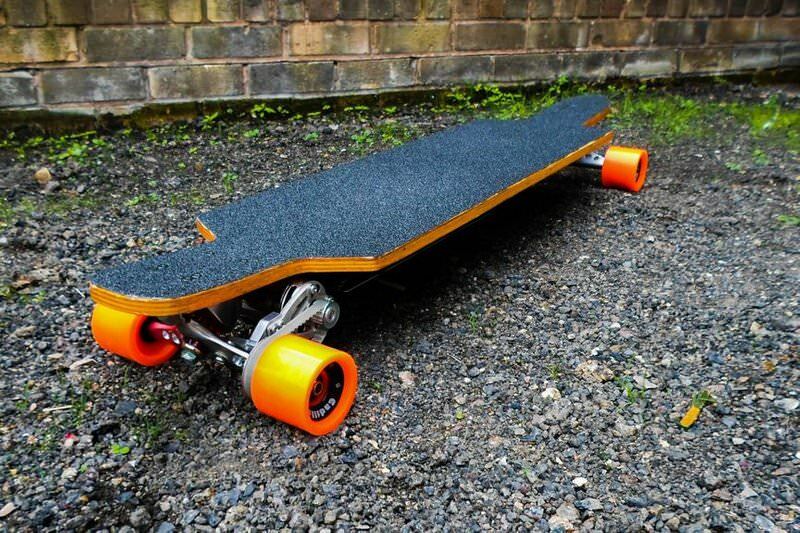 Electric skateboards are great – they allow you to easily get around without expending too much energy. However, leading brands can cost up to $3,000. 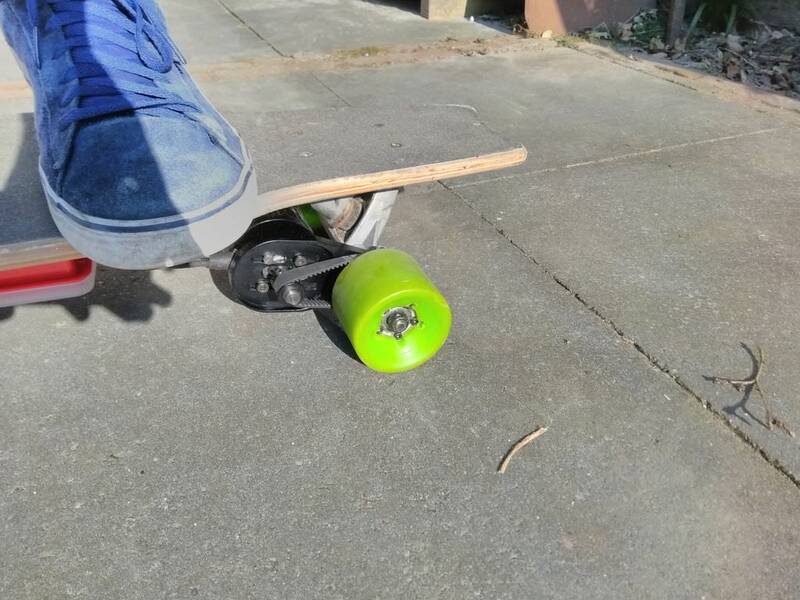 This DIY board reaches 26 miles per hour and only requires four main supplies. You’ll need a motor, speed controller, battery, and a transmitter or receiver — these can be bought separately or in a pack from Amazon. First make the drive system, then the enclosure, then attach everything to the deck. 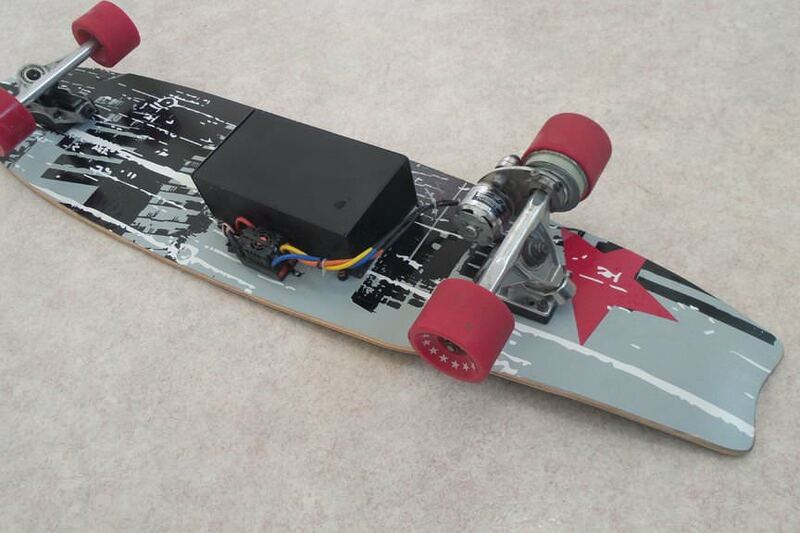 This DIY skateboard is made out of spare remote control car parts. 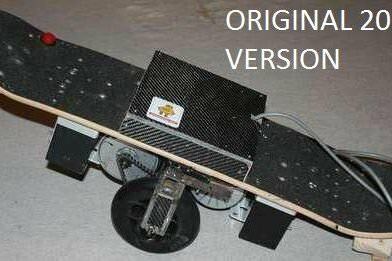 The deck is made out of plywood while the electronic components are made from a battery, motor bracket, and remote. Once the motor is assembled, put the wheelbase together and join everything else together. This DIY pdf project also features a time-lapse video, so you can follow along while you’re building this. Because this is all made from scratch, you can customize it any way that you like. To make this DIY project, you’ll need quite a few supplies. 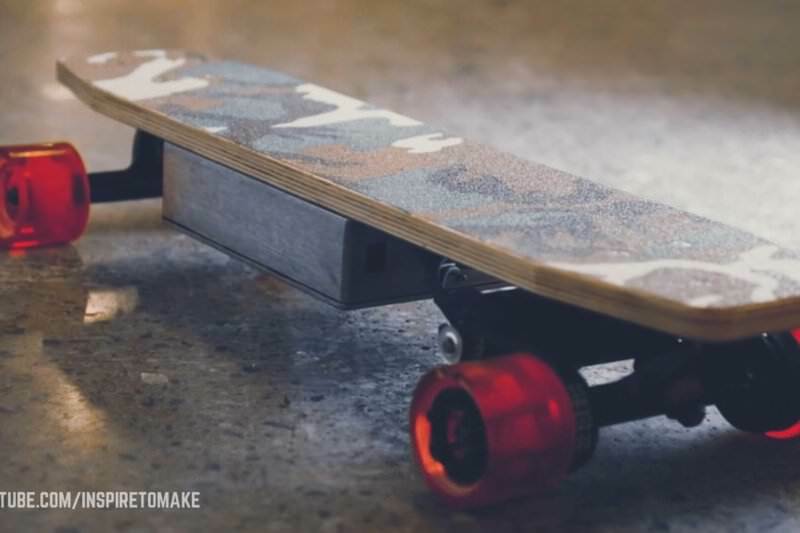 However, this design incorporates all of the motors and electronics in the wheelbases, allowing your deck pattern to shine and no bulky hardware showcased on your board. If you’re not skilled in physical computing, you can buy a complete or partially complete hardware kit. While this isn’t an everyday travel solution, this is a fun DIY idea that you can show off to your friends and play around with at home. Looking to only spend a few hundred dollars, this builder was able to make this DIY board for a very low price. It doesn’t have a lot of power or torque, however, making it difficult for you to go up steep hills. You can also order the parts needed from warehouses or factory stores to save money, though they will take longer to be shipped to you. This in-depth DIY tutorial helps you troubleshoot and gives step by step instructions, making it ideal for beginners. Carbon fiber is a super strong and lightweight material, though not as expensive as you would think. 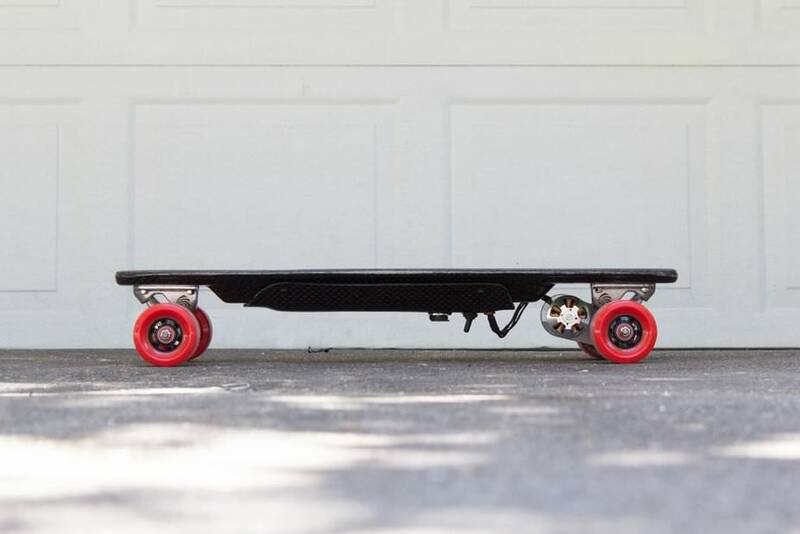 You can make a deck out of it for less than $100. Building your own deck will take time, however, so this isn’t a quick DIY project. You’ll have to make a foam base, attach the carbon fiber, epoxy it, vacuum seal the bag until the resin cures, and then prepare the board for the electronics. The finished product will be sleek, easy to carry around, and will last for years. Made out of high-quality plyboard, this board is durable but not expensive. The electrical components like the battery charger, connectors, and electric speed controller will cost you at least $200. Once you have your supplies, you should connect all the electronics and test to make sure they work before soldering to the board. To save time, you can paint and finish your board and then troubleshoot the tech components – this way, the board will be dry and ready by the time you’re done. If you’re after a lot of power, this board has 1,000w of power and can go up to 50kph. To make this at home, be ready to pay a decent price for a powerful motor and wheel pulleys. All of the electronics can be drilled directly into the board though you should make sure to use a board you’re familiar and comfortable with – otherwise, you’ll likely hurt yourself trying to test and troubleshoot it. Products with apps that can connect with our phones make everything easier – using a bluetooth module and a few sensors, you can make this board that will be controlled by your smartphone. This is an easy DIY project for someone with programming experience, though novices can also follow templates and tutorials for instructions. 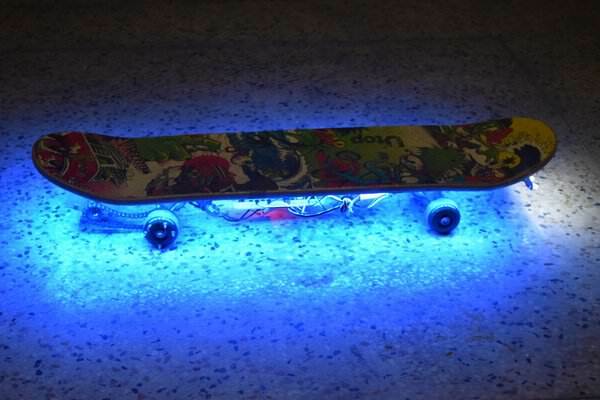 You can also add custom headlights and designs to really make your board stand out. 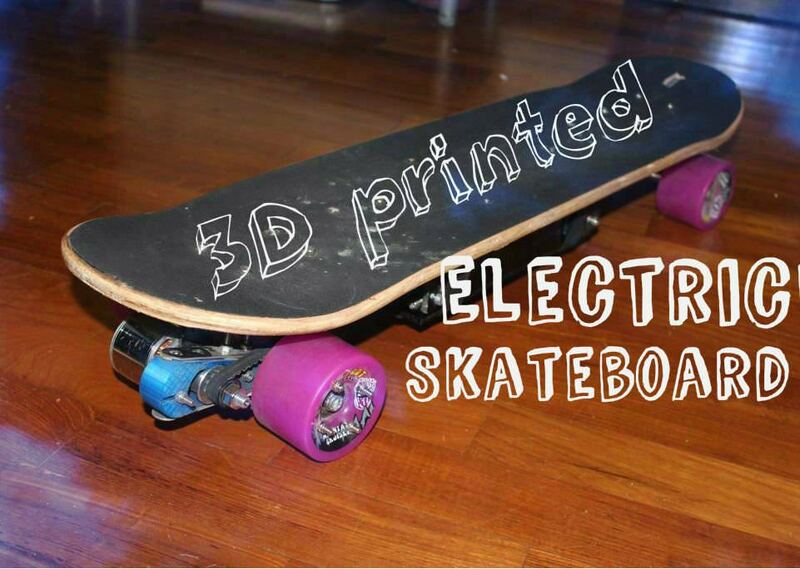 Thinking outside the box, this DIY project shows you how to make a self-balancing skateboard. Ideal for more advanced builders, you’ll need a control system of some sort, accelerometer, gyroscope, sprocket carrier, kart axle, steel side panels, and a few other things. While this is a bit pricey to build, you’ll still be paying less than you would buying a brand new one. The builder also explained revisions that he made to this design, so you can take his faults into consideration. Also controlled via your smartphone, this board can go up to 35kmh and takes less than an hour to fully charge. 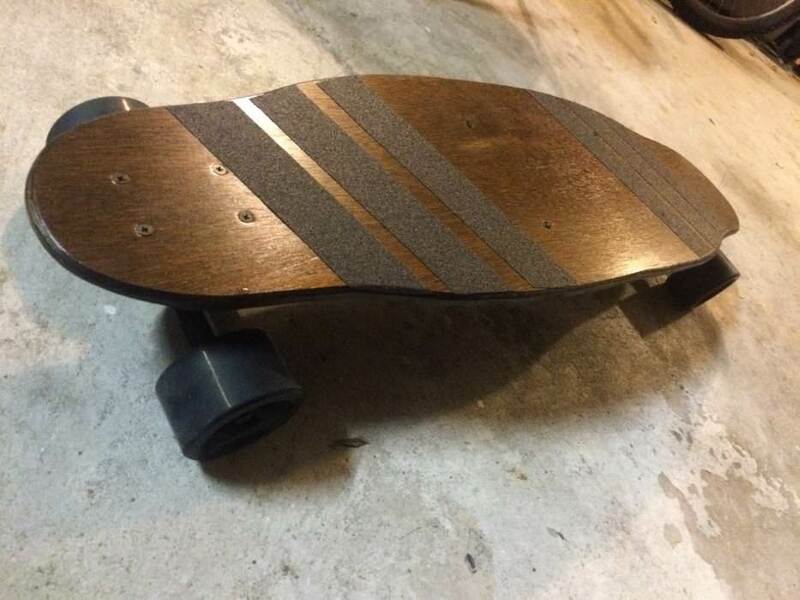 This costs around $350 to make, though you can lower the price by using a skateboard deck that you already own instead of making one from scratch. First, build the chain drive or belt drive. Then craft a case for all the electronics, build the electronics, and assemble everything together. This DIY plan gives step by step instructions and photos to allow you to recreate this at home. 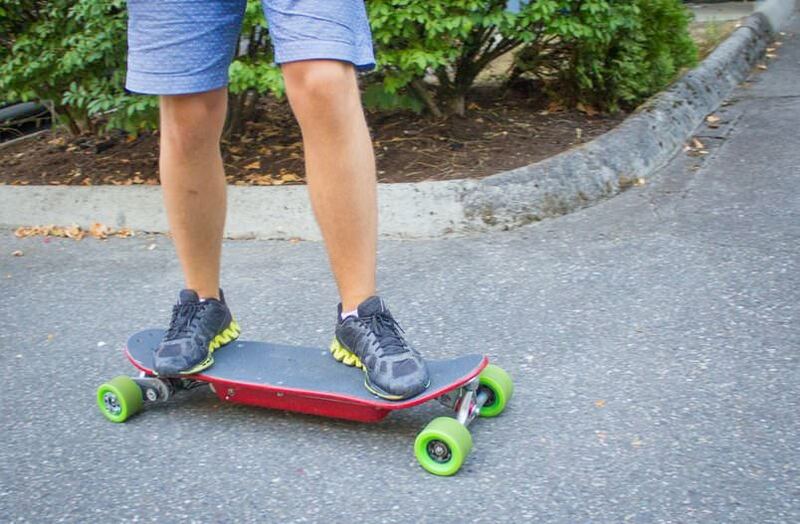 Designed with beginners in mind, this tutorial is easy to follow and shows you how to make a skateboard that works like a Segway. Costing around $300, you’ll need to buy a scooter wheel, motor, and a good deal of electronic parts. This DIY project is time-consuming, though fun to make and worth the effort. Unlike most DIY electronic boards, this board is very sleek and looks professional. With a range of 10km, regenerative braking, and a selection of acceleration speeds, this is an impressive DIY idea. You’ll need things like lithium batteries, a timing belt, banana jacks, and a balance adapter. All parts can easily be bought off Amazon. If you want to make the bluetooth controller, you’ll need to be ready to do some programming with Arduino. 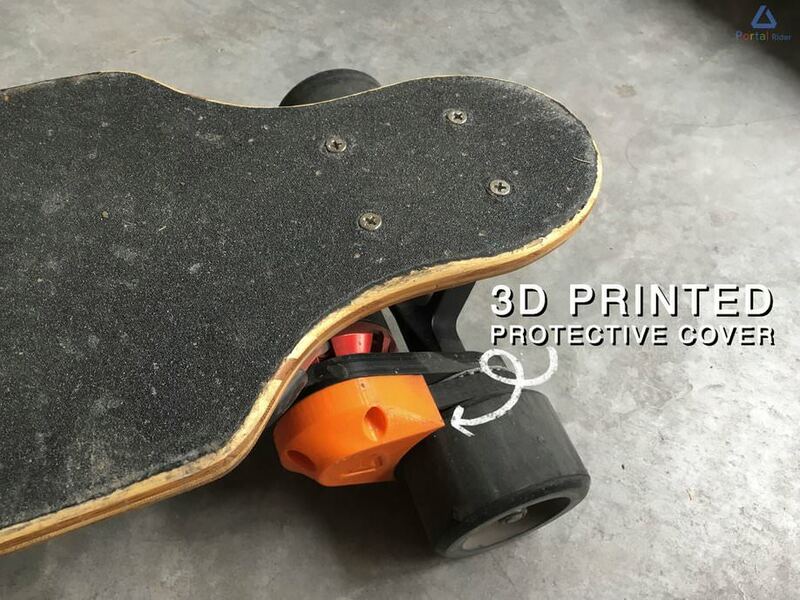 Reaching speeds of up to 37 kmh, a brushless motor, drive belt, motor mount, pulleys, line wheels, and skateboard trucks are needed to start making this board. Once the drive system is set up, you can work on the power system and control system. If you have a 3D printer like this DIYer, you can print some of the supplies needed for this and save some cash. This tutorial also features real-time videos to help you as you’re building. This DIY board only costs $150 to make though you can spend more on batteries and wiring to make the board go faster and have a longer range. This builder 3D printed a motor mount and gears and bought batteries, a remote control, brushless motors, and an electric speed controller. If you’re unsure of which parts to buy and where, this DIY blueprint lays out tons of options for buying parts. If you’re looking for something relatively quick and easy and just want to start riding, this is the DIY plan for you. 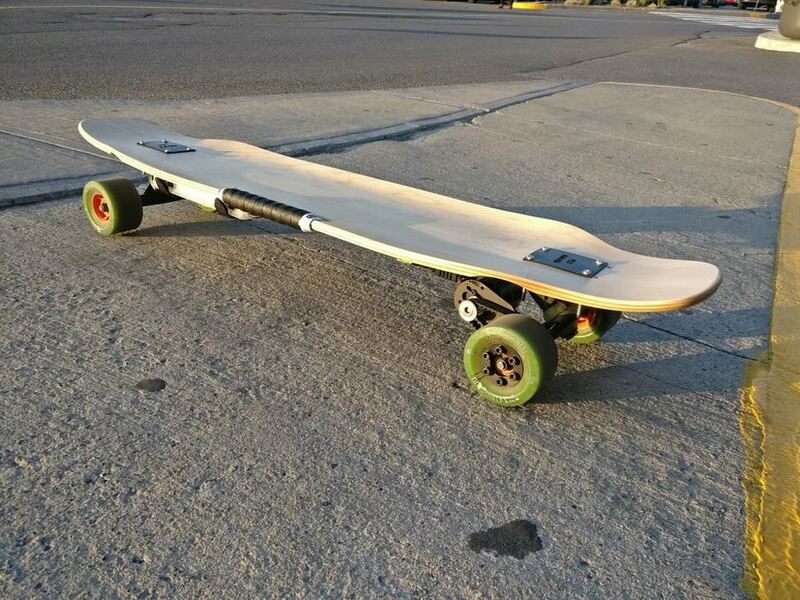 This board can be built in a day and only costs around $300 to make. If you really want to upgrade, you can 3D print some parts to make this look even cooler. If you’re skilled with your hands, attaching the electronics to the deck should take no time at all. If you’re better on the computer, programming the electric speed controller will be a piece of cake. 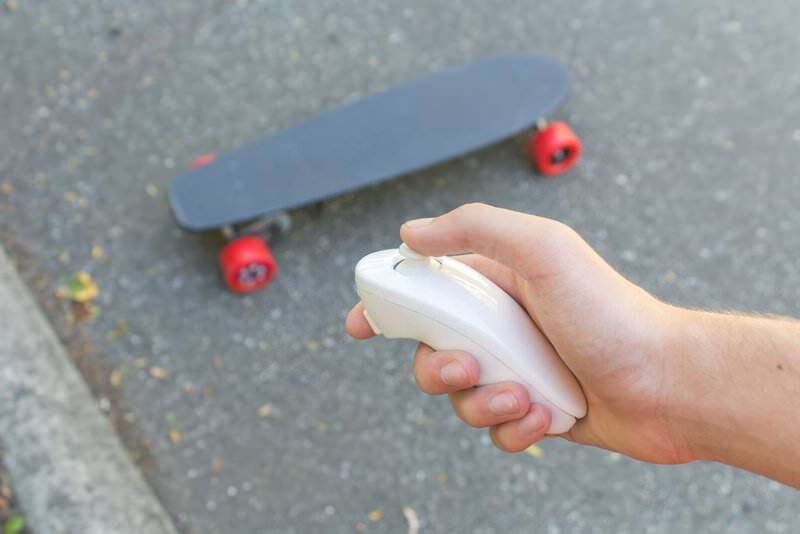 If you have an unused Wii controller around your house, you could turn it into a bluetooth controller for your electric skateboard. You will need an Arduino and some hardware to go along with it, but the hardest part is dissembling the controller. You need to be very precise and be aware of the components you’re moving around, otherwise the finished product won’t work. All of the code and related files are in the tutorial, so you can follow along easily. Skateboarding might have started off as a straightforward backyard pastime, but in the previous couple of decades it’s evolved into a popular thrill sport. Professional skateboarders are famous for carrying out magnificent aerial, maneuvers, reaching speeds and heights. The first skateboarders could never have thought possible in the 1930s thrill-seeking kids were attaching their metal roller skate wheels to wooden crates. Little did they know, this would one day create an international phenomenon. The boxes evolved to boards in 1958 when some California surfers created sidewalk surfing something to do when poor weather stopped them from riding the waves. They attached roller skate wheels to wooden planks and then coasted through the streets. Before long the fad caught on in metropolitan areas throughout the United States Of America. The deck is the part of the skateboard you stand on- it’s made up of a number of slim sheets of wood called veneers. Cheap boards use fewer sheets and lesser quality woods. These high-end boards use a full seven sheets of top-quality maple. Just the top and bottom veneer sheets will actually show so they are sanded smooth and the other side gets a coat of glue. The inside sheets, meanwhile, go through the glue spreader, which saturates, both sides. This adhesive is especially formulated to withstand vibration and shop workers stack 35 sheets of veneer, which is roughly the same as 5 skateboard decks and place them in a mold. Skate boards differ in size and shape so there exists a different mold for each model. A press applies 44 tons of pressure, compacting the sheets and bending them to the shape of the mold. Excess glue, pushes out the sides. The five decks are compacted into one block. Later the block comes out after three hours. Now they drill two sets of holes through the block. These are for mounting the back and front trucks, the pivoting metal axles which allow the skate board to turn. Now you have to give the rectangular block the skateboard contour. They pick a template in the general shape of the model they are producing. It’s got pins beneath it that fits snugly in the truck holes they have just drilled. This holds the template still while they do what’s called the rough cut, sawing around the template, leaving a 1-inch margin removing the excess. At this point they contour each deck separately, employing a precise template. They run the deck up against the cutting blade until they’ve got the final shape. Now using a router, they round off the bottom and top edges, then they smooth all the surfaces against the drum sander. Then they switch to a buffer, which is a blend of brushes and fine grit sandpaper to get rid of any tough wood fibers. The deck has become completely smooth. The following stop is the finishing room where they first spray the decks with a colorless primer. This seals the pores in the wood veneer, so that they will not absorb the coat of lacquer which comes next. The primer takes 2 hours to dry. 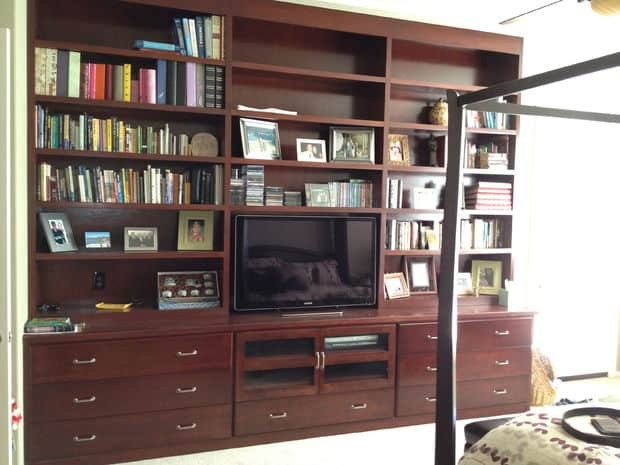 Subsequently, they spray on a coat of clear or colored lacquer. It leaves a protective high-gloss finish. The lacquer also takes 2 hours to dry. The ultimate step of the finishing process is putting on the decoration. The daring image designs are printed on plastic sheets. The skateboard factory either purchases them ready-made or creates them in-house, utilizing its own silkscreen printing equipment workers Center. The design sheet is then fed the deck through a device which applies heat and slight pressure at the same time. The heat is 390 degrees Fahrenheit and induces a chemical reaction that melts the ink and lacquer. Once the plastic material is removed, the deck is completed. 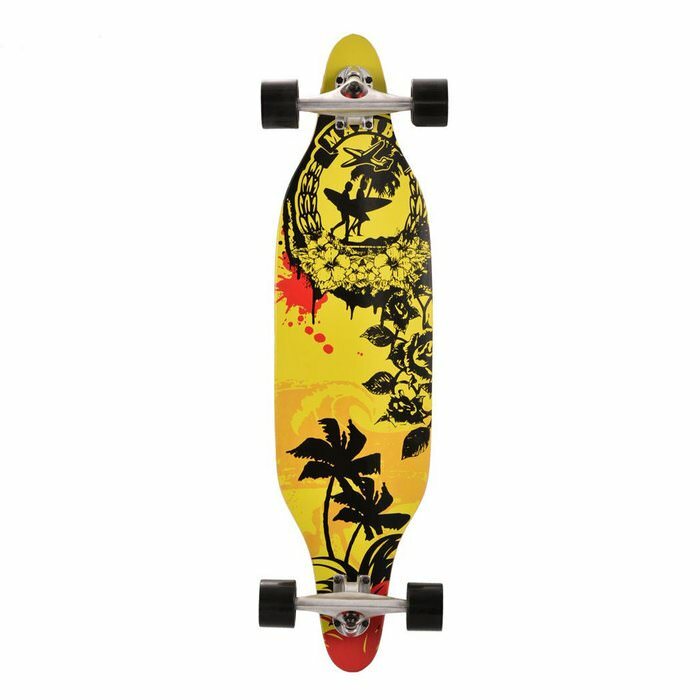 Decks of this caliber can be purchased unassembled in niche stores- they are created for really serious riders who want to personalize their skateboards. They choose and pick from various types of trucks, wheels,, even the bolts that maintain everything together. Each one of these aspects determines how fast or how extravagant their skateboard will move and maneuver.